A number of Abilify lawsuits have been filed in U.S. courts on behalf of patient who allegedly developed gambling addictions due to their use of the antipsychotic medication. Plaintiffs claim that they could have avoided the devastating consequences associated with compulsive gambling had the manufacturers of Abilify provided doctors and patients with appropriate warnings regarding this potential risk. The nationwide law firm of Bernstein Liebhard LLP is now offering free legal reviews to individuals who may have developed a compulsive gambling problem after initiating treatment with Abilify. To learn more about filing an Abilify lawsuit, please contact our legal team today by calling (888) 994-5118. An Abilify lawsuit was filed in New Jersey’s Bergen County Superior Court on January 20, 2016, by a patient who claims to have developed a compulsive gambling habit shortly after he began using Abilify in 2010. His gambling allegedly ceased once he ended treatment in August 2013. According to Courthouse News Service, two similar lawsuits were filed over Abilify and compulsive gambling in Tampa federal Court on January 13th. 2012: The European Medicines Agency required that the Abilify label list pathological gambling as a possible side effect. 2015: Canadian drug safety officials warned that Abilify may cause users to suffer impulse control problems, including problems with uncontrollable gambling, hypersexuality and other risky behaviors. A review conducted by Health Canada identified at least 18 cases internationally where Abilify users began to exhibit compulsive gambling behavior. In 14 cases, the gambling issues ceased after treatment with Abilify ended. February 2011: Three patients reportedly developed compulsive gambling habits soon after they initiated treatment with Abilify. April 2011: Three more cases of pathological gambling in Abilify patients were detailed in the British Journal of Psychiatry. March 2014: The medical journal Addictive Behavior published a paper that linked eight cases of compulsive gambling to Abilify. 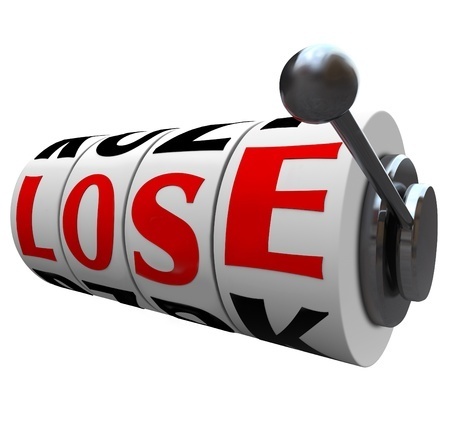 October 2014: JAMA Internal Medicine reported on 37 cases of gambling addiction in Abilify patients. How Can Filing an Abilify Lawsuit Help? Drug makers have a responsibility to warn patients and doctors about the serious side effects associated with the use of their medications. While both the European and Canadian Abilify labels list compulsive behaviors, including pathological gambling, as a possible risk, no such mention is included in the U.S. labeling. If you would like to learn more about filing an Abilify lawsuit for compulsive gambling, the legal staff at Bernstein Liebhard LLP is ready to help. Please contact our office today by calling (888) 994-5118.